Home CultureArts (Video) Ever Wonder What Ancient Greek Music Sounded Like? For generations, music history enthusiasts have pondered the age-old question about how Greece’s ancient music actually sounded — although they often disregard it as a lost cause in the end. But now, a professor from Oxford University has solved part of the puzzle by researching the subject and leading a musical group to perform ancient Greek songs that listeners have not heard in more than two thousand years. Classics professor Armand D’Angour not only conducted research to replicate the old performance, but also helped to design a replica of an “aulos” — an ancient Greek wind instrument with a sound roughly akin to that of bagpipes. D’Angour then organized a group of musicians to sing and play the lyre — another commonly-used instrument of the era. 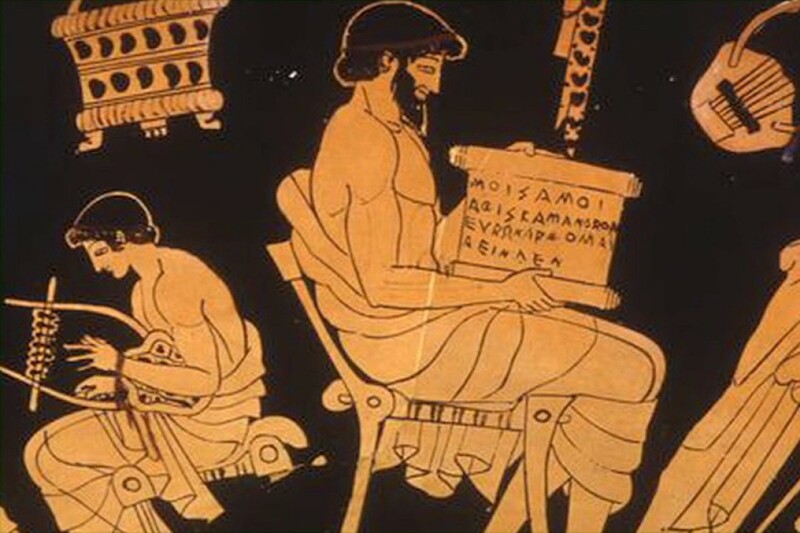 Music was integral in ancient Greek culture, and artists such as Homer and Sappho wrote many literary texts to be performed as songs; however, although written instructions offer plenty of detail about the notes, scales, effects and instruments used, modern-day musicians can rarely recognize them because of their unfamiliarity and complexity. In his article published by the academic media outlet The Conversation, D’Angour described the importance of rhythm in ancient Greek music. The professor said that reproducing ancient Greek tunes ought to be enough proof for music scholars to reconsider the origins of Western classical music. For his next undertaking, the Oxford professor will focus on Greek theater, where he hopes to recreate a drama performance in an authentic ancient theater with historically accurate music from the era.